On the occasion of Maharashtra Day (1st May 2018), I am introducing new facility for Marathi learners. I would like to interact with them on web-chats, practice conversation, answer their queries. The timings can be decided based on mutual convenience. It is free of cost. 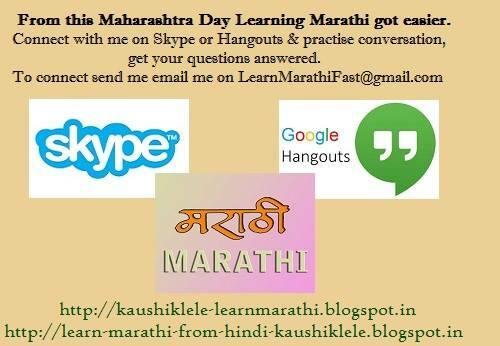 Share with your friends, relatives, colleagues who want to Learn Marathi !! I conduct separate session for non-Indian students. They have been really global sessions with participants from US to Japan joining them. It is online, once a week on Google hangout (group video chat). It is not sequential teaching session. But more of QnA and conversation practice.Everyone is at different and basic stage of learning. It is held Saturday/Sunday India evening time. Let me know if you are interested to join. Glimpse of a session with Indian students !! Hi. I really found it useful. 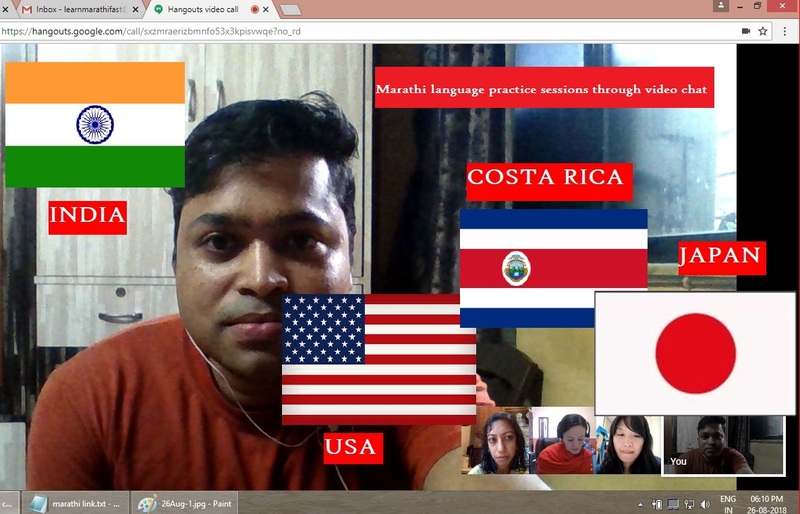 Real time conversation - hangouts , helps learn it effectivley and memorize the words. Hope I learn perfect marathi soon. Thanks kaushik for your thus initiative. Wow !! Excellent then; we will keep going. Within few months you will see you have reached quite high in fluency. My journey with Marathi commences from today onwards. 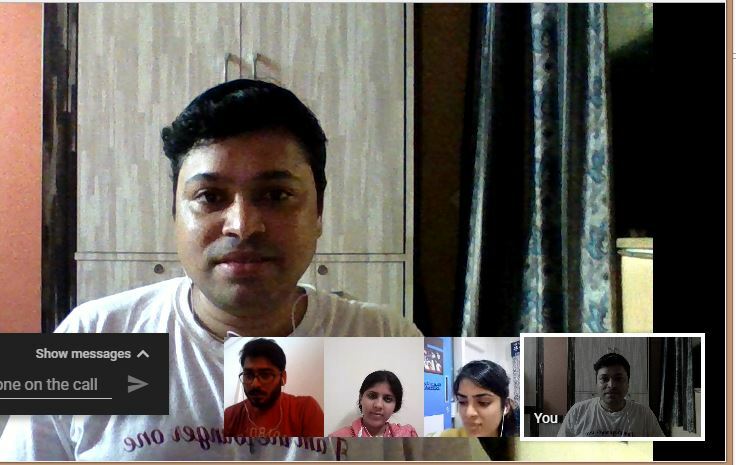 I hope I will reach the stage of hangout conversations and other real time practices soon. How is your Marathi learning going on ? I would like to know more about it, if you could send me mail on LearnMarathiFast@gmail.com, that will be great. Dhanyavad khup Kaushik! These Skype sessions are super interactive and tailored to practice, clear questions and are a fantastic tool for the improvement of my marathi and adding structure to our self- study sessions. I also want to highlight how you are open to adapt to the different ways we learn and grammar challenges:). Thanks Kaushik this is what I have been looking for! I will email you - Deepa. I will be Mote than happy to help. If you could send me mail on LearnMarathiFast@gmail.com, that will be great. Waiting.